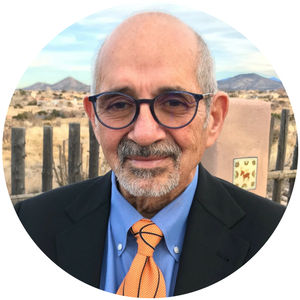 NCTE is pleased to announce the election of Alfredo Celedón Luján to the position of Vice President. Luján is dean of students and teacher of English and study skills at Monte del Sol Charter School in Santa Fe, New Mexico. He is also deeply involved with the Bread Loaf Teacher Network, where he has been active since earning his master’s degree in 1987 through the Middlebury Bread Loaf School of English. During the summer, he is assistant to the director of the Bread Loaf School of English in Santa Fe. In 2017, Luján was awarded the NCTE Advancement of People of Color Leadership Award for his contributions to the Council. His many previous roles include serving on the NCTE Executive Committee, the Secondary Section Steering Committee, the Assembly of Rural Teachers of English, and as chair for both the Commission on Literature and the Committee Against Racism and Bias in the Teaching of English. Luján will take office as Vice President during the NCTE Annual Convention in Houston, Texas, in November 2018. He will join the Presidential Team, which currently includes Jocelyn A. Chadwick, Franki Sibberson, and Leah Zuidema.